When it comes to asking the question of what to have for lunch—or dinner—the answer should always be dumplings. “I’ve had too many dumplings”, said no one ever, and that’s a fact (according to us, anyways). And what makes dumplings even better? Beer. In need of a holiday? How about an escape to The Blue Breeze Inn. Here, you’ll find all the flavours of a Chinese cuisine combined with an island atmosphere. You can even watch the delicious dumplings being made from start to finish right before your very eyes. It’s all pitcher perfect. Keep it casual at Gogo Music Café in Balmoral with an authentic taste of Asian BBQ. Cheap and cheerful is the go-go at Gogo, $10 will get you 20 dumplings and slide an extra tenner on the table for an ice cold bevvy. If the décor at Wu & You doesn’t blow your mind, the dumplings sure will. Take your pick between the shitake dumplings with pickle shitake, coriander and chilli oil or the classic shrimp and pork with soy and garlic sauce. Wash it all down with an on-tap Wu’s Lager. 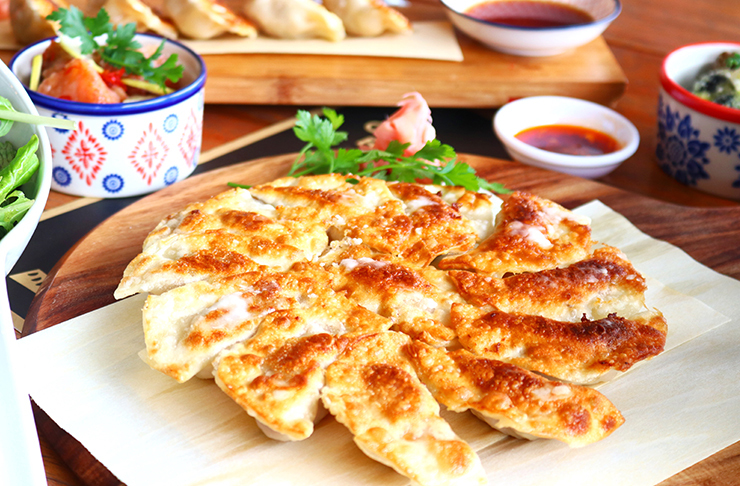 The Gyoza Bar is very well-known for their dynamic duo: drinks and dumplings. Their crunchy yet fluffy gyoza dumplings have people coming from near and far to get their Gyoza hit. And the cherry on top, they know their alcohol so rest assured you will be well looked after! Head over to Taka to experience Tokyo on the beach—no messing around, just authentic Japanese cuisine at Tokyo Bay. Choose from gyoza pork dumplings or duck dumplings shumai—either way your stomach will thank you. Add some beers and sake bombs (Japanese tap beer bombed with a shot of sake) and you’re set for the night. Afterwards, you can take a stroll on the beach and get some extra steps down for your FitBit. Ever wondered what Kentucky wood-smoked BBQ mixed with Asian cuisine would taste like? Think no longer! It’s time to get wild at Woodpecker Hill. Order the wild mushroom dumplings, Vietnamese mint, green peppercorns, galangal and coriander (each dish is also made to share!). Digest the dumplings with the taste of USA with Brooklyn Lager or keep it light and local with Galbraiths Redemption. For the vegetarians out there, don’t worry Woodpecker Hill have options covered for you too (yay!). Stop watching the clock tick tock and head to TOK TOK. Here, you can get your taste of Asian fusion right on the Shore. Greeted by the Vietnamese furniture and hanging pot plants, this is the perfect place to transport yourself into another world. Dive into the chicken ‘n’ clam dumplings and your choice of beer. Once again, food is made to be shared so CHEERS! Take your dumpling journey to new heights at White + Wong’s. The menu ranges from wagyu beef, shiitake & cumin shumai to sliken tofu and soy braised shiitake mushroom bun. Here, you are bound to find something to devour, as you wash it all down with a glass of beer while soaking in the epic views. DUMPLINGS + DESSERT + DRINKS. What more could you need? YES, THAT’S RIGHT YOUR DUMPLING DREAMS HAVE COME TRUE! You can choose from choc fondant (chocolate fondant with sweet pumpkin pastry) or banoffee (salted caramel and banana). If you’re not down for dessert, Xuxu have normal dumplings too (but um, who are you?). It’s time to woo that special someone (or your friends) at Madam Woo. Inspired from traditional Malaysian Hawker food, the recipes are served in a modern way. Head along to the bar for a ‘Woo Brew’, partnered with delicious prawn and coriander dumplings. You’ll be set for a second date and plenty of cute ‘grams. 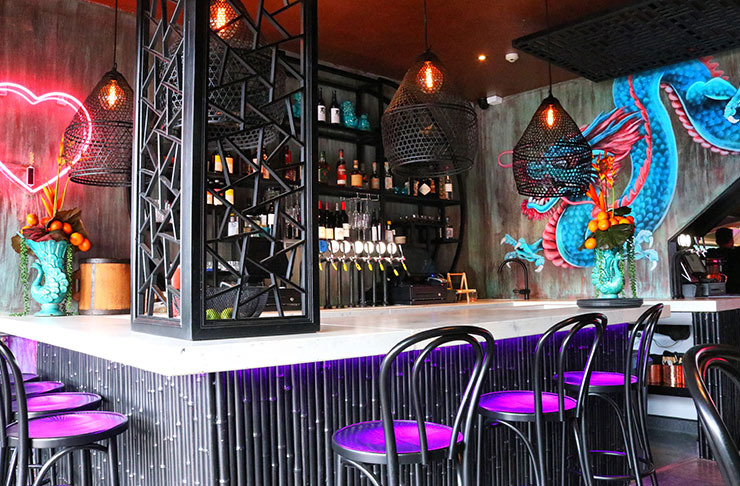 Ebisu, the Japanese god of fishermen and luck has landed in Auckland in restaurant form. Try the steamed prawn dumplings with ginger soy, house-made chilli oil and shaved almonds. Complete your meal with Asahi, the original super dry or tap beer if that’s your thing. Sake also forms the heart of Ebisu with an endless list to choose from, Daiginjō, Ginjō to Junmai and Honjōzō. Just sit back and enjoy the fantastic flavours. Auckland Has A Dumpling Tour!